Newcomer Family Obituaries - Boyd Swinfield Thomas 1927 - 2019 - Newcomer Cremations, Funerals & Receptions. Boyd Swinfield Thomas, 91, of Springfield Twp., went home to be with the Lord on February 8, 2019 at 4:04p.m. at his residence, surrounded by family. Born on September 23, 1927 son of the late George E. Thomas and Marietta Krantz. Boyd worked as a mechanic all of his life. He enjoyed fishing, gardening, hunting, was an avid outdoorsman, loved his family, and was a Browns fan until the end. Boyd was proud of being from WV and visiting with his WV family. He was a proud Army vet serving with the 82nd Airborne at Ft. Bragg and during WWII. In addition to his parents, he is preceded in death by his wife and best friend of 65 years, Geraldine; grandsons, Joshua Roy and Shane Patrick Legg; granddaughter, Dawn Marie Legg; 5 brothers and 5 sisters. He will be dearly missed by his children, Diana (John) Faulconer, Don D. (Cindee) Legg, Ronnie L. Legg, Larry W. (Patricia) Thomas, Rickey D. (Diana) Thomas, Patricia Mae (Richard) Kelly, Michael H. (Kim) Thomas, John Allen (Carole) Thomas, Danny C. Harris, and Anna Hoff; over 100 grandchildren of five generations; sister, LauraBelle Hellems; and brother, Randall Thomas. A celebration of life service will be held at the Kenmore Community Church of the Nazarene, 2025 12th St. SW, Akron, OH 44314 on Saturday, February 16 at 2p.m. Pastor Terry Passmore officiating. Add your memories to the guest book of Boyd Thomas. So sad to have to say goodbye to Uncle Boyd. I know he is in the loving arms of Jesus and so enjoying being with precious Aunt Gerry. Will surely miss seeing him at our family reunion. Love and prayers for all the family and friends left behind. I know the most wonderful reunion will be for us all in Heaven someday. So very sorry to hear that Uncle Boyd passed away. He was such a sweet man. I know your hearts are broken. Please know that your family is in our thoughts and prayers. 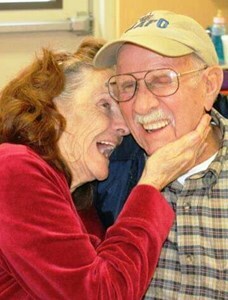 Love and Prayers, Marsha (Short) and Terry Adams. Boyd and Gerry are very important people in Gary's and my life. I hope they are talking and laughing with Gary. I send all my love to the family. Prayers and great big hugs to you all. He always had a story to tell that would leave me in awe, in tears or in laughter. Mostly laughter and a little deeper love for this incredible man. love, hugs and prayers for the family. He will be missed so much which means he greatly blessed the lives he touched.